Ever wondered where you’d build a superhero lair in Ottawa? You’re in luck. In honour of Ottawa Comiccon (May 13 to 15), Ottawa Magazine continues to pull back the mask on the city’s homegrown comic book gurus. Ghost King by Dominic Bercier. Q: If you were a superhero and could have one super-power, what would it be? A: Perfect intuition. Knowing the right answer every single time. Also being at the right place at the right time and always doing the right thing. Q: If you were a superhero, what would your weakness/kryptonite be? A: Peace Tower. That would be regal. Or the Diefenbunker, of course. Or the National Gallery, though I guess it would be hard to hide there, but it would be beautiful (I would use mirrors). Or pretty much any pub. Because that sounds comfortable. Q: Who are your favourite homegrown comic book artists, and why? A: Jay Odjick. 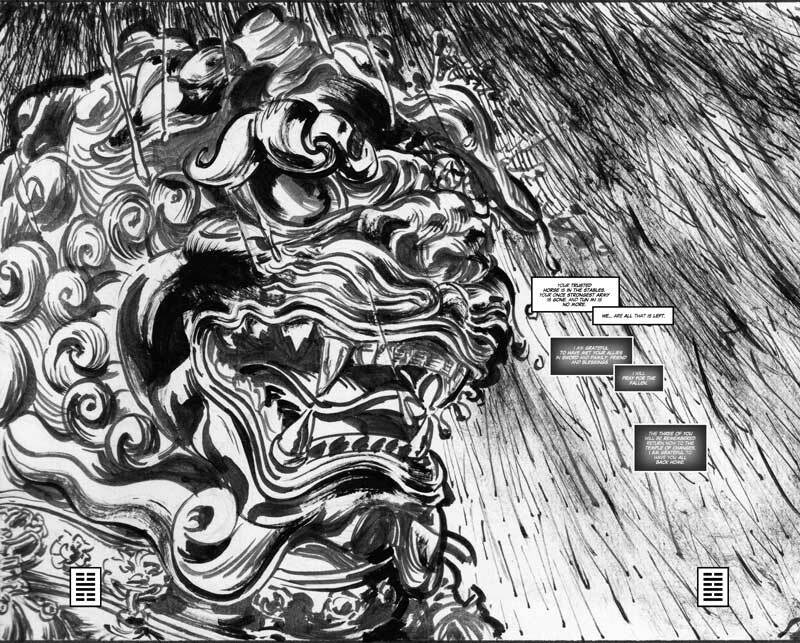 He persevered and got a major Canadian publisher to release his opus, Kagagi (The Raven), as a graphic novel, and he didn’t stop there. He founded his own production company and made an animated series of Kagagi that aired on APTN in both English and Algonquin. Mad respect. Also, not homegrown but with an Ottawa connection, are Nick Bradshaw, tremendous artist, who lived here for a while, as well as USA born but Ottawa ensconced Geof Isherwood, who is one of the all time greats. Q: Are there any traits, whether skill or personality, common to Ottawa’s animators, comic book artists and comics writers? Any common ties that bind? A: So much talent, so much humility. It’s very Canadian that way. The cocky guys stand out like a sore thumb and don’t really reflect the overall community here. There is so much passion here, whether writers or artists or cosplay masters or – heck – fans!!! It’s amazing that so much talent and excitement exists in what is dubbed to be a boring town – it really isn’t. Q: If you were a super villain living in Ottawa, what would your ultimate goal be (your plot, your criminal endgame)? A: Well, it’s Ottawa, so I guess you could really wreak havoc with the national infrastructure if you were cruel enough. But that’s not my thing at all. I would be Ottawa’s greatest art thief! YES! I would systematically collect all of the art and artifacts from Ottawa’s countless museums. I guess I would need to create an alternate dimension to store it all though, which might be a little tricky. But if that were possible I would create a time-space bubble around TD Place and just pile everything on the field. The arena would be my attic. I would keep all of the official portraits in the Aberdeen Pavilion. If that plan fails I guess I would take a picture and put it all back where I found them because I don’t have the room in my studio. 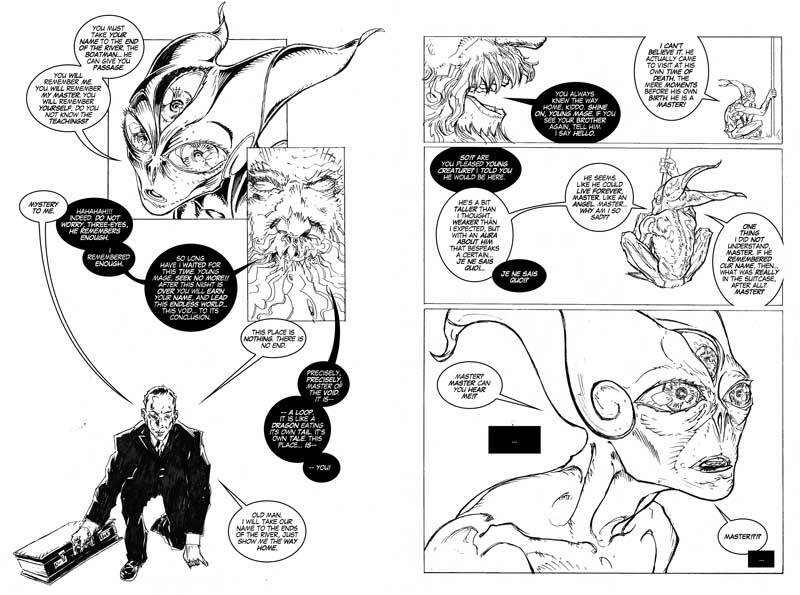 Meanwhile, another local talent Kristopher Waddell has already created a local superhero, and you may know him from the local music scene: Johnny Vegas! Superpowers: Charm, Charisma, Iron Stomach. Vegas is on a mission to swing Ottawa back into action! Why is this hero a good fit for Ottawa? He’s the hero that Ottawa’s needs. Kristopher Waddell is President and Publisher at Winter Star Comics, and will be at Ottawa Comiccon. 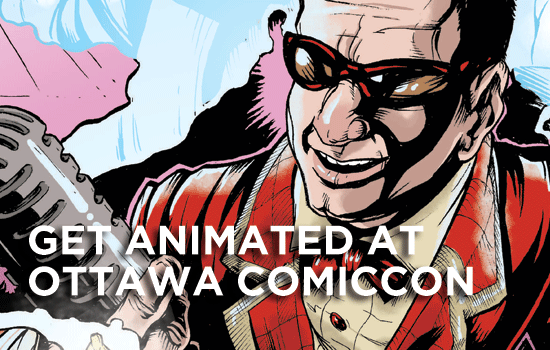 Our ongoing local Ottawa Comiccon series has previously features a Q+A with Ronn Sutton, and Janet Hetherington.